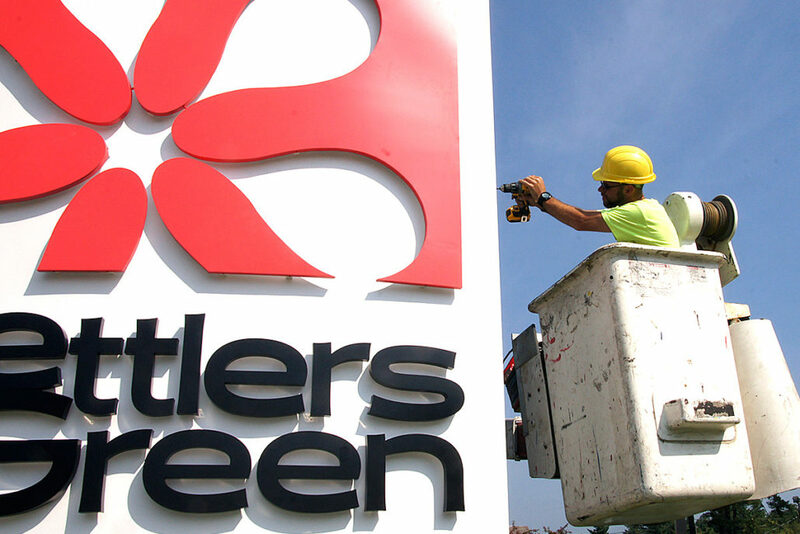 Bailey Sign, Inc. is a full service sign installation company, trained personnel install our interior and exterior signage products. You’ll see our custom signage in corporate corridors and supermarkets. Hung from multi-story office complexes and adorning rooftops. At airports, banks, civic centers, and shopping plazas. From real estate site signs to brightly lit time and temperature displays, Bailey installed interior and exterior sign systems occupy some of the most prominent spots in northern New England. 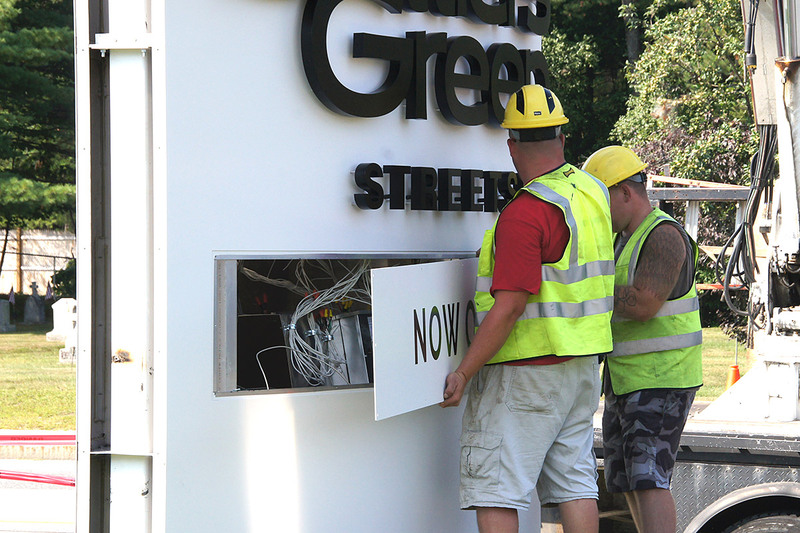 Our installation crews are experts in a full range of sign applications. 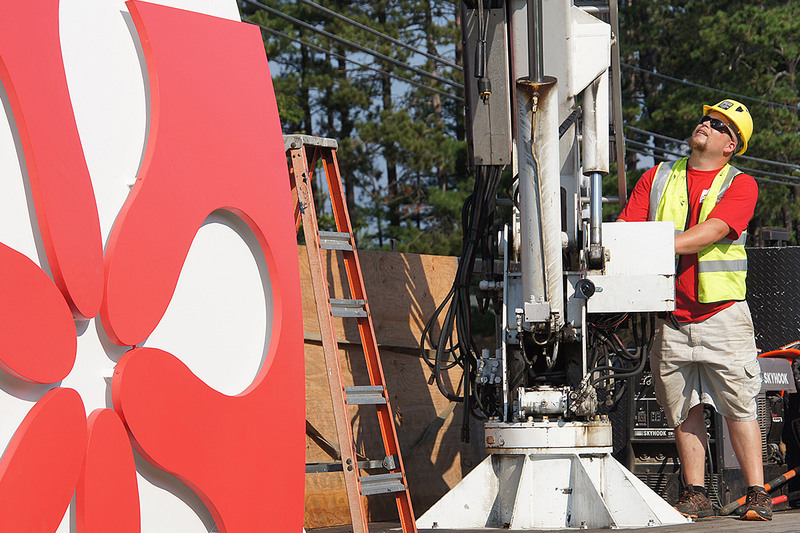 With our fleet of vehicles and advanced installation equipment, we can handle any sign, of any size in any location. Bailey Sign offers installation and maintenance contracts for single or multiple site sign programs. We provide sign storage facilities and can ship your sign anywhere nation-wide. 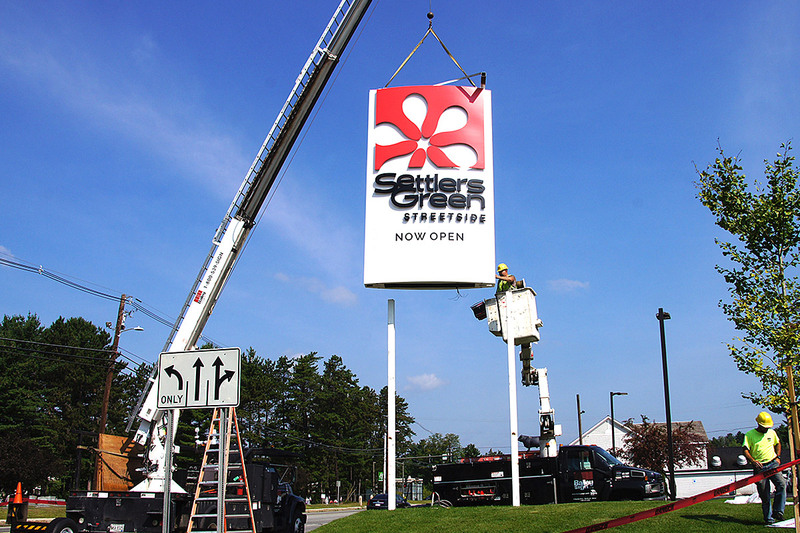 At Bailey we recognize how important your sign is to your business success. Keeping your name brightly lit for customers to see is a top priority for us. We dedicate vehicles to maintain and service all the signs we manufacture and we respond to any customer needing service on their sign within 72 hours of a service call. In an emergency situation we offer 24 hour service if we are needed after our regular business day ends. Our service technicians maintain OSHA training and current licenses as required. We operate a fleet of vehicles with equipment that ranges from 35’-100’ cranes. Ask us how to save money on electric bill and increase the life of your signs lighting by changing over to LED lighting. 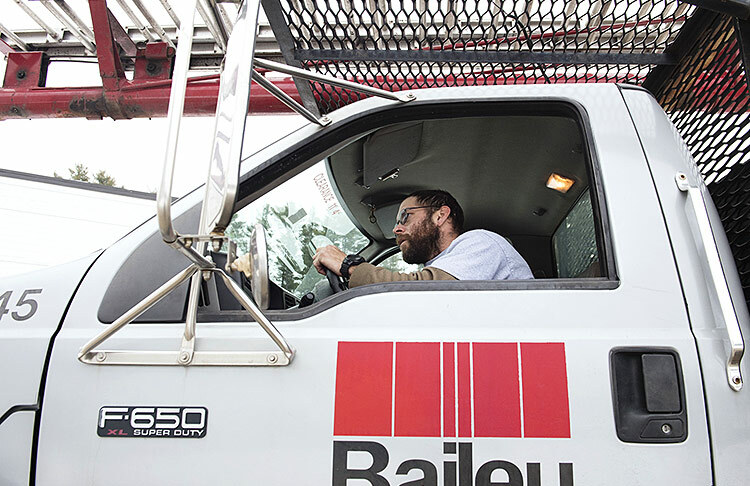 Bailey’s maintenance programs ensure longevity and continued performance. So that your electronic message board works even in the chilliest weather. So your neon sign brightens even in the darkest night. We offer a variety of maintenance programs to fit your specific needs. From single repairs to short or long-term contracts, Bailey will repair any cracking, pealing, or lighting problems, fix any signs of age. Our computer database system allows us to track your sign’s maintenance requirements, its age, expected life, and materials – any and all specifications for single or multiple locations. So we can spot and trouble-shoot problems before they occur. 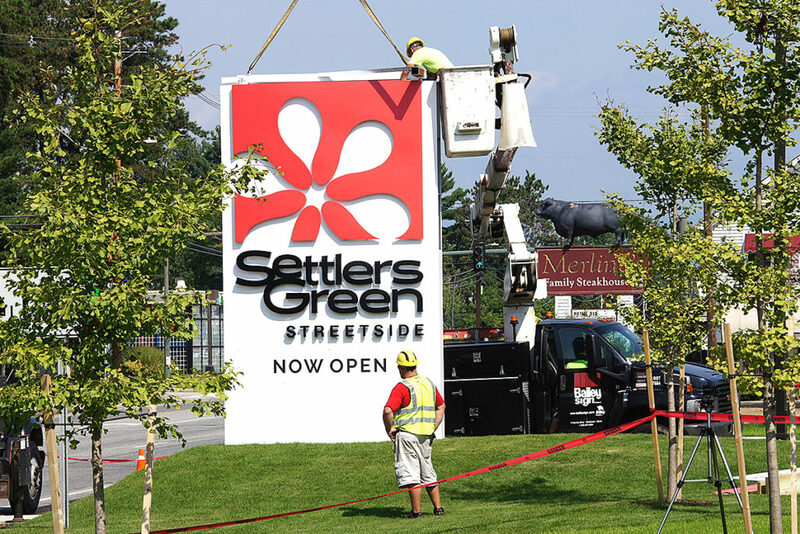 Bailey Sign services customers needing a sign manufactured, installed or serviced in the entire Northeast region of Maine, New Hampshire and Vermont with national affiliates and partnerships coast to coast. 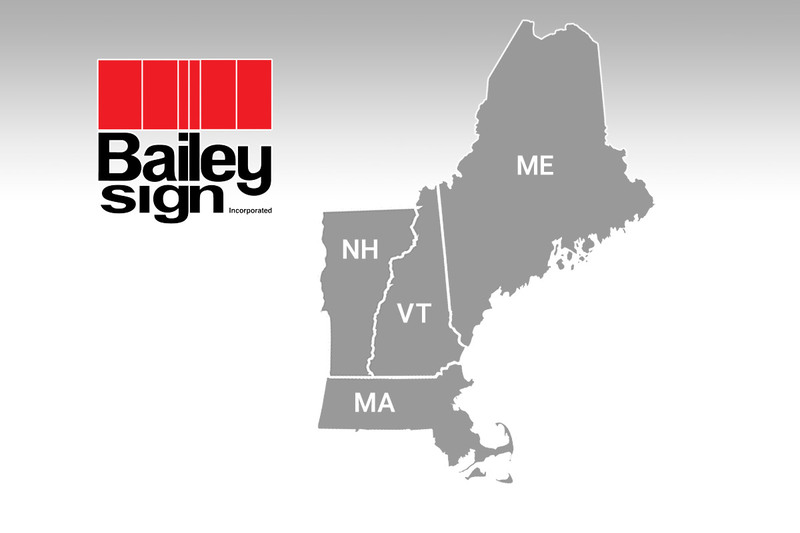 Since 1975, Bailey Sign has been the trusted choice in Maine, New Hampshire, and New England for custom commercial signs.